Gerald "GP" Patrick Padden, 82, of Raleigh died Sunday, November 26, 2017 at his home. GP was the beloved companion of Carolyn Carter for 30 years. Born in Scranton, PA, son of the late Patrick and Mary Dwyer Padden, he attended Holy Rosary High School. GP was a proud and loyal veteran of the United States Marine Corps. GP's passion for many years was his role as the Commander for the American Legion Post One. Before retirement, GP worked for Wake County Public Schools and the Raleigh Housing Authority. He also worked several years as a self-employed mechanical contractor. GP was an avid NC State fan, never missing an opportunity to watch football or basketball from his recliner. Surviving are five children, Gerald Padden, Jr. and wife Patsy of Raleigh; Joseph Padden of Raleigh; Ellen Padden Evans and husband Scott of Toano, VA; William Padden and wife Leslie of Williamsburg, VA; and Michael Padden and wife Dawn of Toano, VA; eight grandchildren, Katherine, William and wife Rachel, Thomas, John, Robert, Sierra, Sonia, and Lila; one great-grandchild, Sofia Evans; and nieces and nephews. GP was preceded in death by five brothers, Patrick (Florida), William (Scranton), Eugene and Joseph (both of Scranton) and John (Scranton); and two sisters, Joan McCormick and Maye Brandamore. The family would like to thank the doctors, nurses, and caregivers of the Durham VA Medical Center. A memorial service will be held Friday, December 1, 2017 at 11:00 am at Layden United Methodist Church, 2607 South Wilmington St. Raleigh, NC. The family will receive friends one hour prior to the service at the church, as well. Burial will follow the service at Montlawn Memorial Park. 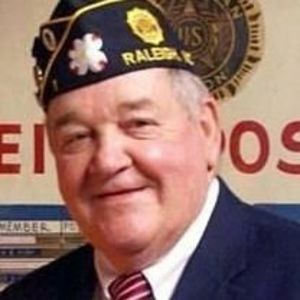 In lieu of flowers, memorial contributions may be made to the American Legion Post 1 (nclegion.org) or Meals on Wheels Wake County (wakemow.org).